Why haven't we found a cure for cancer yet? This is the question that motivates Christopher Pacia when he's doing research in the Chen Ultrasound Lab at Washington University in St. Louis (WUSTL). Pacia is a PhD student in biomedical engineering, and his research focuses on ultrasound imaging and therapy that can impact cancer patient care. "With a greater understanding of the brain, treatments can be more patient-specific," says Pacia. "In that way, they will also be more effective in improving the lives of those affected by the seemingly boundless complexity of neurological disorders." 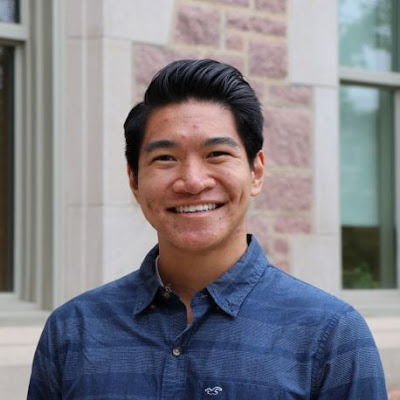 Pacia is the current Vice President of the SPIE Student Chapter at his university, under the supervision of 2019 SPIE Britton Chance Award winner, Dr. Samuel Achilefu. The chapter is involved in a variety of local outreach activities which, according to Pacia, is one of the most rewarding parts of being a researcher. Enjoy SPIE's Faces of Photonics interview with Chris! 1. Share the story of your favorite outreach experience. One of my favorite outreach experiences was my trip to the local St. Louis Science Center during its annual SciFest event. SciFest is free and open to the public, and it's where scientists, engineers, and doctors come together to show all the amazing things happening around St. Louis. Hundreds of attendees have the chance to walk around and learn about motion-capture technology in movies, how memories are formed in the brain, and how optics acts as a window into our bodies. Our SPIE Student Chapter went to SciFest to put on an exhibit, showing children and adults the science behind ultrasound imaging. Our booth had hands-on demonstrations to showcase the fundamentals of sound, and the ways in which ultrasound can be used for imaging. We even let the brave, young scientists try to image their own arm! The kids loved playing with sound and trying to see what they look like on the inside. Even adults were amazed when we explained how fetal ultrasound images were formed. The amount of shock and awe that comes from building an understanding in science has been one of the most rewarding parts of being a researcher. 2. Explain your current research and what you do at your job. How does your work impact society? A question people are always asking is: Why haven't we found a cure for cancer yet? But, of course cancer research isn't as straightforward and simple as we would hope, especially in the case of brain cancer. The main challenge when treating brain cancer is the presence of the blood-brain barrier (BBB). The BBB has the important task of regulating the diffusion of molecules between the brain and blood vessels. While this is beneficial in protecting neural tissue from foreign pathogens, the BBB also prevents life-saving drugs from being delivered to the brain. In the Chen Ultrasound Lab at WUSTL, we are working with focused ultrasound (FUS) to non-invasively disrupt the BBB and enhance drug delivery to the target area. The integration of FUS with magnetic resonance imaging (MRI) allows for more precise targeting, so by developing an integrated FUS system, clinicians will be able to use their MRI scanners to non-invasively enhance cancer-drug delivery. This will take us one step closer to developing a cure for cancer. 3. When you look five years into the future, what do you hope to have accomplished? In five years, I hope to have completed my PhD research and be involved with further developing diagnostic and therapeutic tools for the clinic. The necessity for this technology is clear, and with my training I plan on making great strides to improve patient care. My goal is to have developed a system that can help answer at least one question about the brain. Whether it has to do with remapping after disease, the effects from aging, or the enhancement of cognitive processes from neuromodulation, I will want to have my hand in a revolutionary tool that will shape the future of science. On a more personal level, I'd like to influence the future generations of scientists. The next generation of researchers will have a greater amount of resources, technology, and mentors at their disposal to address any unanswered questions. I will continue to reach out in my community to share what I have learned, and, hopefully, inspire students to pursue a STEM career and push the envelope of science. If I persuade just one student, the five years will have been worth it. 4. What is your advice to others in the STEM community? Building a diverse community and sharing knowledge with each other will push STEM further into the future. There have been great strides in the scientific community in terms of reaching out and encouraging underrepresented minorities to pursue STEM careers. There has been a lot of progress, but it cannot stop there. There are a number of ways to help. To name a few: going out into local schools and showing students that science is fun is the catalyst to helping students recognize their potential; providing students with the resources to run hands-on experiments will prepare them for a future career in STEM; putting on demonstrations at the science center will help students appreciate how science is used in our everyday lives. 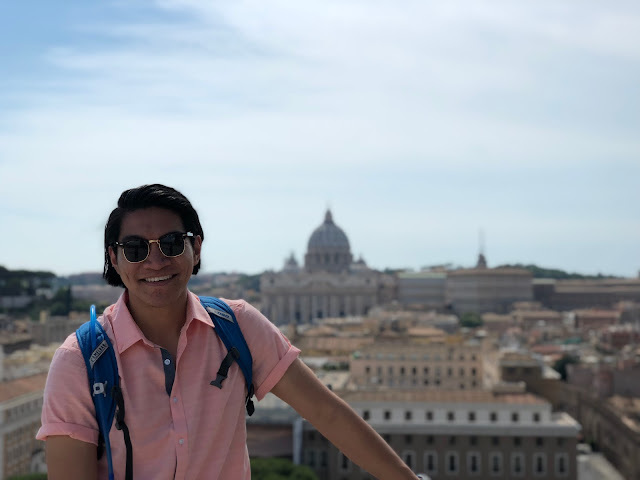 WHEN IN ROME...: When he's not working toward a cure for cancer, Pacia loves to travel! SPIE’s #FacesofPhotonics social media campaign connects SPIE members in the global optics, photonics, and STEM communities. It serves to highlight similarities, celebrate differences, and foster a space where conversation and community can thrive. Or search #FacesofPhotonics on your favorite social network! SPIE's #FacesofPhotonics is sharing the story of Alina Zare, Associate Professor at the The Machine Learning and Sensing Lab at the University of Florida. Dr. Zare was recognized as a 2018 Rising Researcher for her work in Electronic Imaging & Signal Processing, at the SPIE Defense + Commercial Sensing conference. This program recognizes early career professionals who conduct outstanding research in the defense, commercial, and scientific sensing, imaging, optics, or related fields. If you want to learn more about the program, the details are here. Enjoy the interview with Alina! 1. Tell us about when you first became interested in optics and photonics. In my senior year of undergraduate studies in computer science, I was taking an Image Processing elective. I really enjoyed the course, and the professor for the class, Dr. Gerhard Ritter, encouraged me to do some undergraduate research. Meet this week's SPIE Faces of Photonics feature, Arfa Karani. Arfa is a physics PhD student at the University of Cambridge, studying the physics of solar cells. She is originally from India, but has lived outside her home country for many years while pursuing her education. Arfa was also President of the SPIE Student Chapter at the University of Cambridge in 2017-18, and continues to remain involved with the chapter when she's not hard at work in the university's Cavendish Lab. 1. How did you become interested in the optics and photonics field? Was there a person who inspired you? My physics teacher at school inspired me. I got interested in studying optics because my curiosity was satisfied by this teacher, who was extremely enthusiastic about what they did. When you ask too many questions as a child, people try to divert your attention once they are tired of answering. Not this teacher. Meet the SPIE Faces of Photonics star of the week, SPIE Member Anuja De Silva. Anuja grew up in Sri Lanka and now resides in Albany, New York, where she works as a materials and process researcher in the Semiconductor Technology Research division of IBM. Speaking of her work, she says, "I develop new types of materials and processes that help us to scale the size of computer chips... It's hardware development for next-generation semiconductor devices." Anuja graduated with her Bachelor's in Chemistry from Mount Holyoke College and went on to get her Master's and PhD in Materials Chemistry from Cornell University. Upon conducting a research project for her undergraduate degree, she found her passion for optics and materials research. 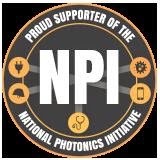 Authored by SPIE, the international society for optics and photonics, the Photonics for a Better World blog focuses on research news and the many ways technologies are applied to advance science and improve quality of life, and on the people who make that happen.